Performance – Performance claims are based on independent lab results and manufacturer’s internal test data. 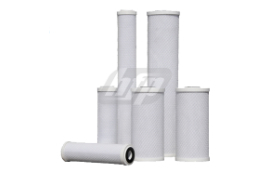 Actual performance is dependent on influent water quality, flow rates, system design and applications. Your results may vary. Performance data has not been tested or validated by NSF. Micron Ratings – Micron ratings are based on 85% or greater removal of the stated nominal micron rating. Capacity – Estimated capacity based on using 2 ppm free chlorine with greater than 90% reduction. Cartridges (new) – Flush new cartridges until water runs clear prior to use.